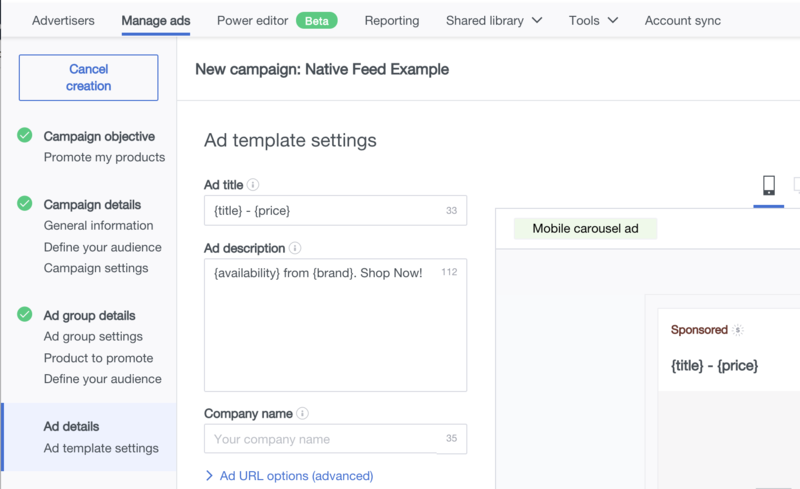 The steps to create a native feed ad are straightforward and easy to implement. You’ll use the new campaign objective, which is Promote my products, with a CPC price type. 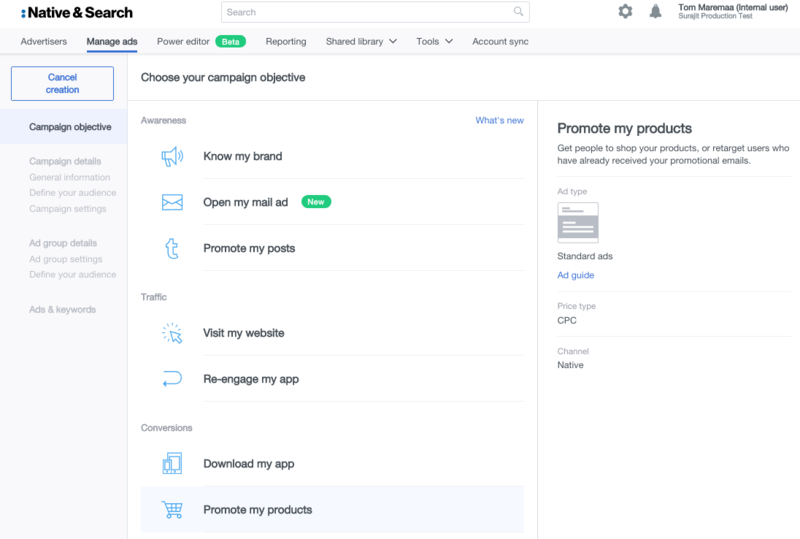 You’ll be able to manage your campaigns and adgroups by product set, and promote only 1 product set per adgroup. In the Objective panel for your new campaign, select and click Promote my products. 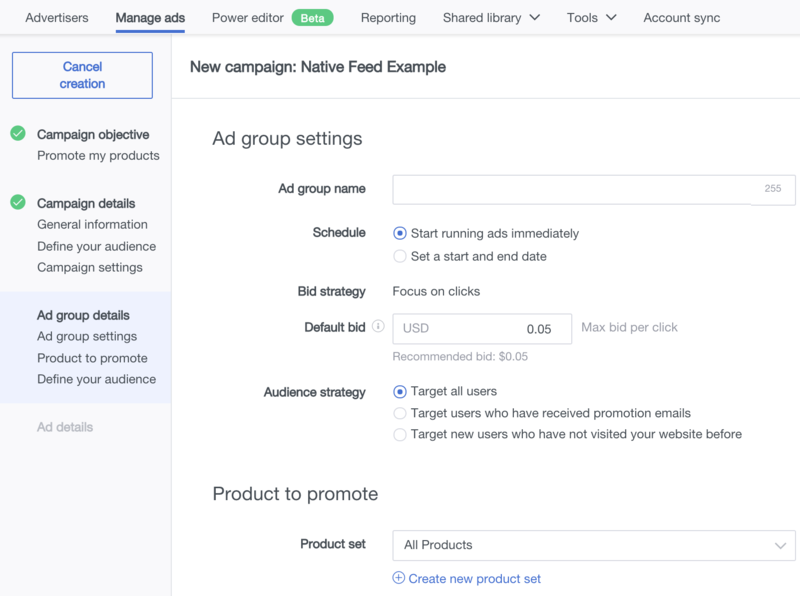 In the Ad group settings panel, enter your Ad group name, schedule, bid strategy and default bid, and in the Product to promote portion of the panel, enter All Products. Now in the Define your audience panel for your campaign, click Viewed, added to cart, or purchased. In the Ad template settings panel, enter your Ad title and Ad description. Navigate next to Ad templates and macros, which describes in detail how to create ad templates and macros.